Police have arrested a group of Moscow skinheads suspected of killing at least 20 people from ethnic minorities. People from Central Asia and the Caucasus were the victims in a series of nationalist attacks being investigated. If convicted, the group of six, aged 17-20, could be sentenced to life, a police source said. 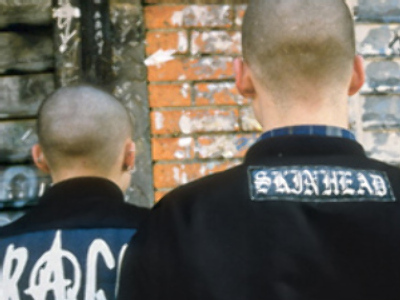 The source added that they are from Moscow or the Moscow region and regard themselves as skinheads. The young people were reportedly communicating at nationalist sites on the internet, where they arranged details of their attacks on non-Slavs. Metal bars, baseball bats and knives were used as murder weapons on the victims the group are accused of killing. Police also seized ultranationalist literature promoting race hate from the suspects' apartments. The police have reportedly managed to trace the group after they solved a murder of an Uzbek couple committed on May 7. Russia’s Interfax news agency says more than 200 racially-motivated attacks have been committed in Russia in 2008.